Nestled at the foothills of the majestic Alps (that is what the Piedmont means literally, “at the foot of the mountains”), Turin is conveniently located close to France, Switzerland, and the Italian coast. It is surrounded by Piedmontese vineyards famous for Barolo Barbaresco wines made from the Nebbiolo grape, and close to the truffle capital, Alba. A compact city center makes it easy to reach major attractions by foot. 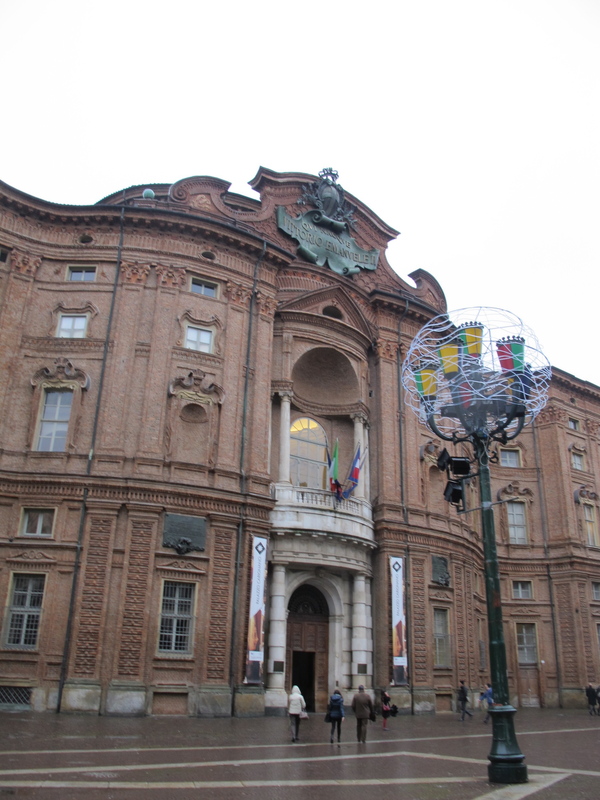 All these make Turin a wonderful place to visit and the city has been reclaiming its fame in recent years, boosted by hosting the 2006 Winter Olympics. Ready for a quick tour? 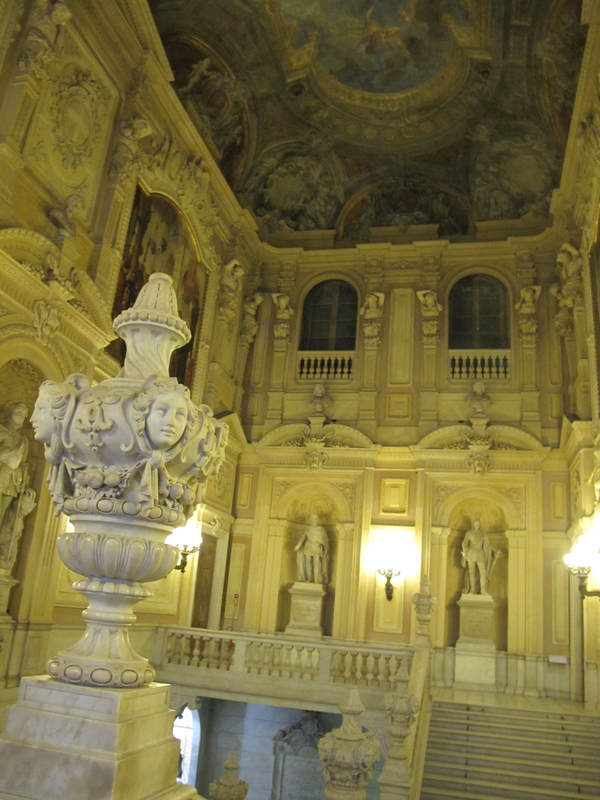 The magnificent building in the city center of Piazza Castello, Palazzo Madama, illustrates well Turin’s rich past. At the first glance it looks rather incongruous. The Palazzo stands on the site of a gate in the Roman city walls, with the two of its four towers testifying to the Roman origins despite being restored in the medieval style. In the 14th century, the medieval fortress that followed the Roman settlement was enlarged into a castle and then rebuilt in the square shape that we know today. It later became the residence of the House of Savoy. 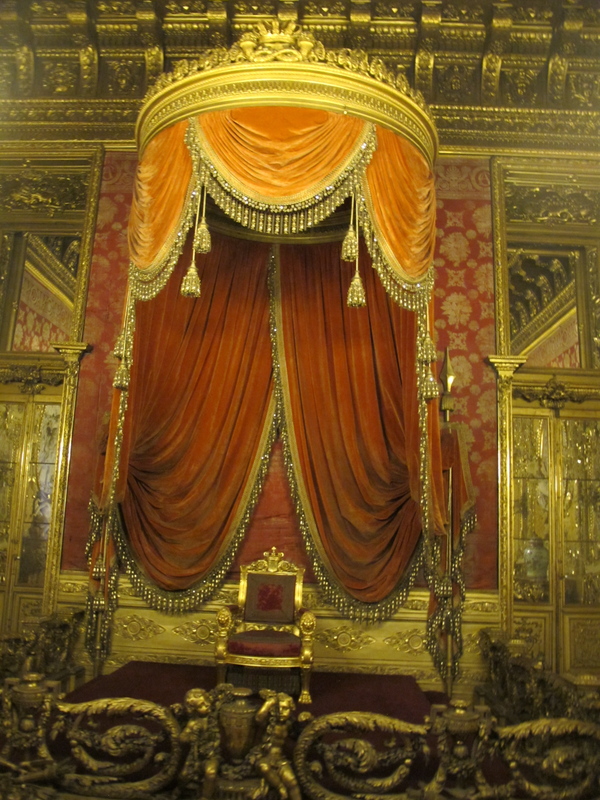 Marie Jeanne of Savoy conferred upon the palace its nickname of Madama (Italian for Madame). She wanted the palace re-designed in Baroque style in white stone, but the work stopped in 1721 after only the front section had been completed, giving the palace its unique, architecturally eclectic look. 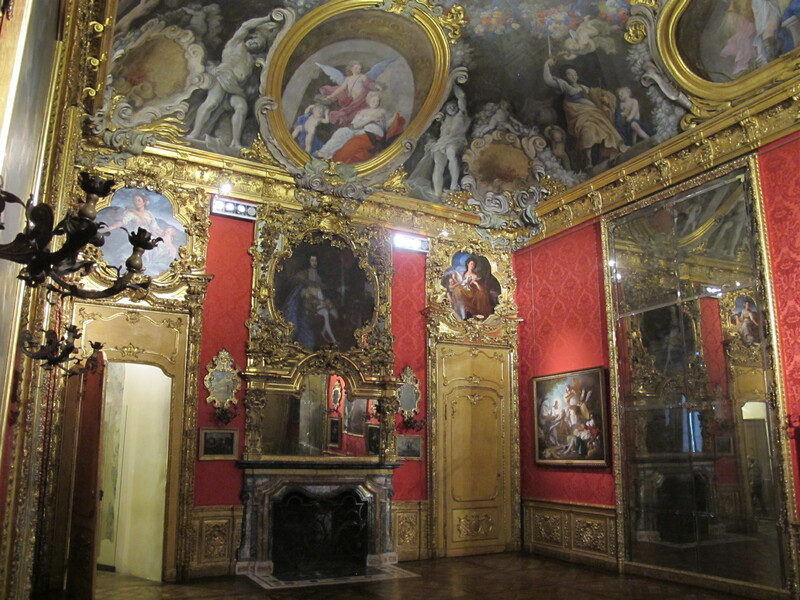 Today the palace houses impressive Museo Civico d’Arte Antica. 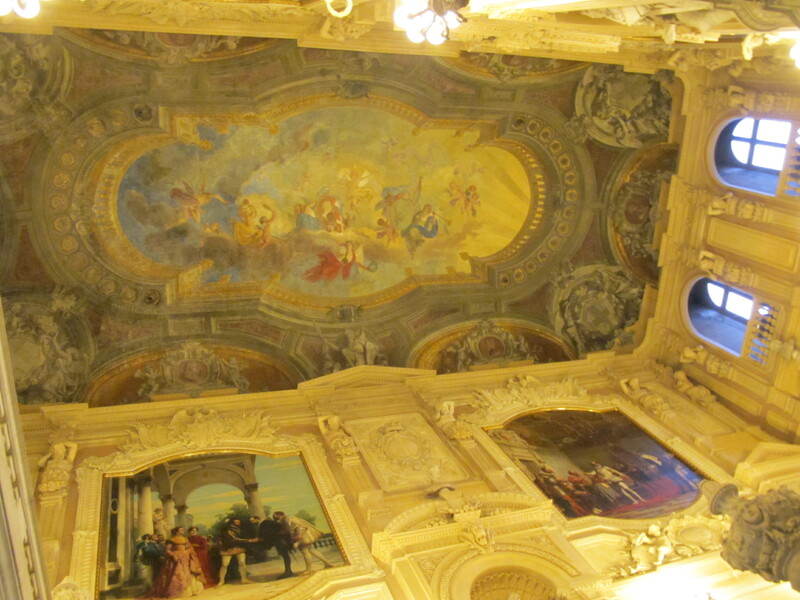 Palazzo Madama – oh how grand! 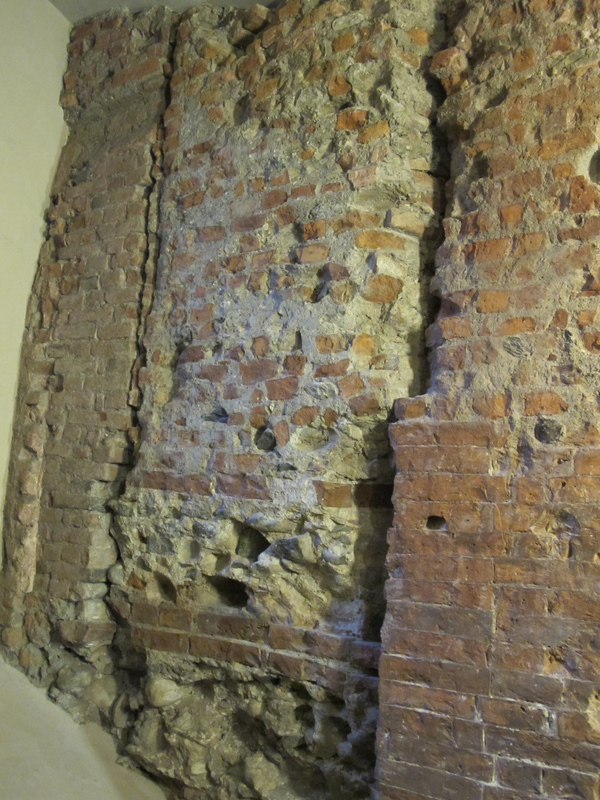 Nearby Palazzo Carignano is another 17th century Savoy residence, also with two distinct architectural identities. Its one façade is built in Baroque style, red and elliptical, proudly announcing that Victor Emmanuel II, the first King of unified Italy, was born here in 1820. 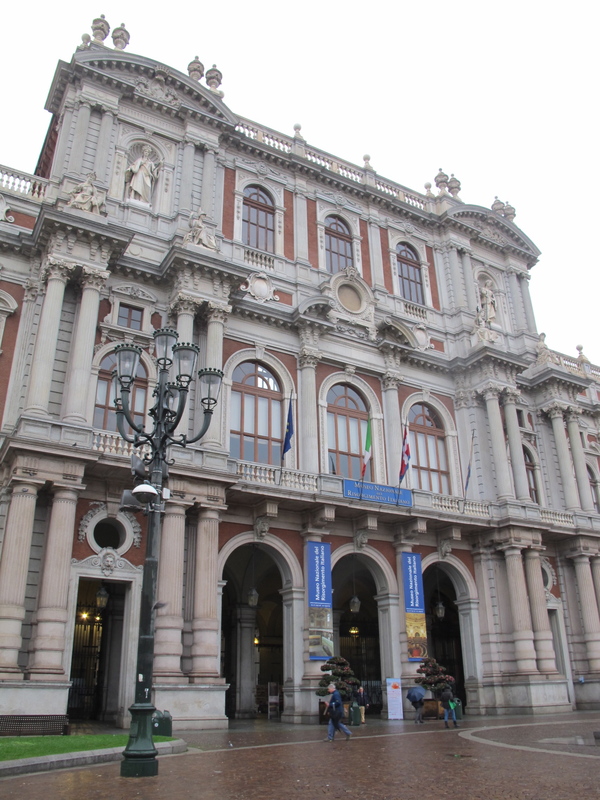 The 19th century rear façade facing Piazza Carlo Alberto is neo-classical and looks very different but equally impressive. The palace served as the seat of the first Sub Alpine Parliament and then of the first Italian Parliament until the capital of the newly unified state was moved to Florence in 1865. 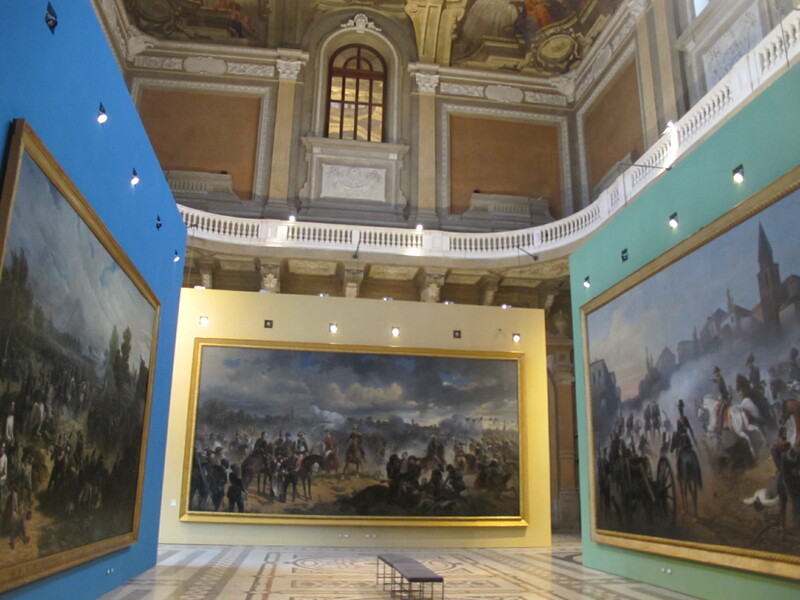 Today the building hosts the National Museum of the Italian Risorgimento. 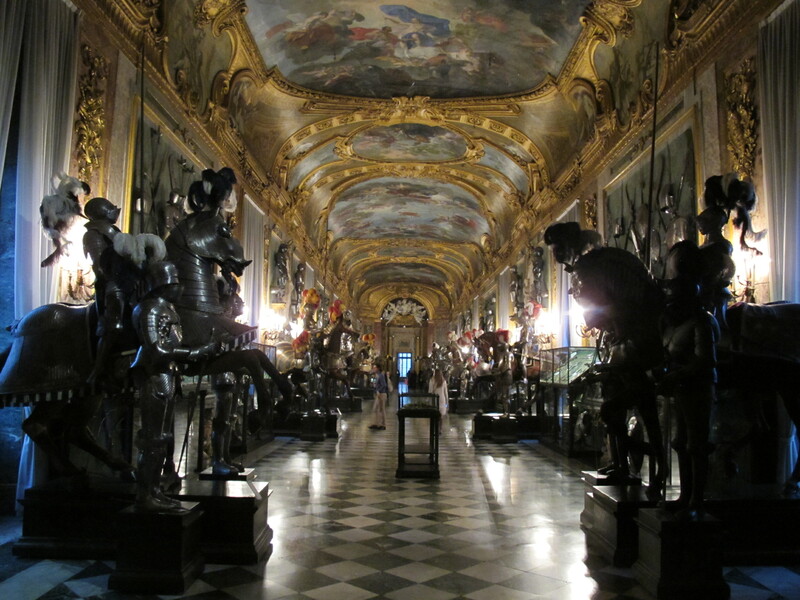 Closing the triangle of Savoy palaces in the heart of Turin is Palazzo Reale, the Royal Palace. 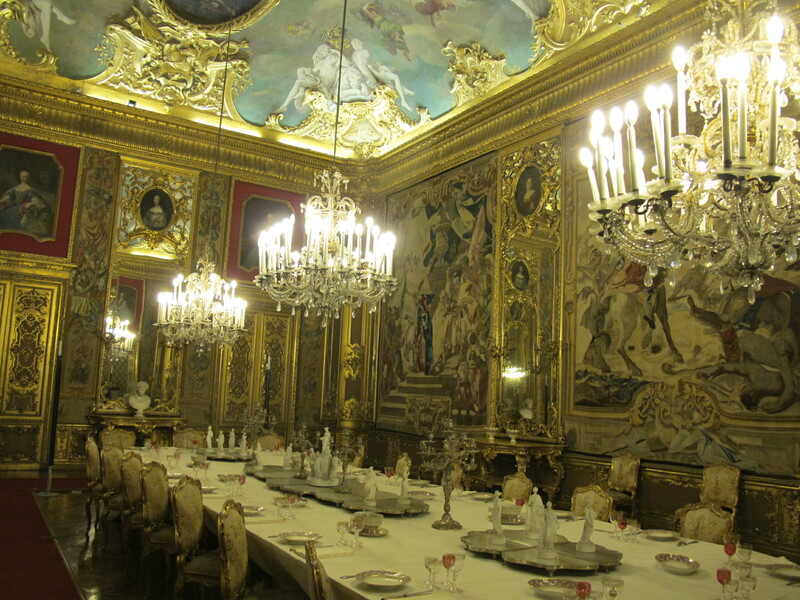 It dates back to the 16th century and today, as a museum, shows the history of the Savoy dynasty in all its splendor. 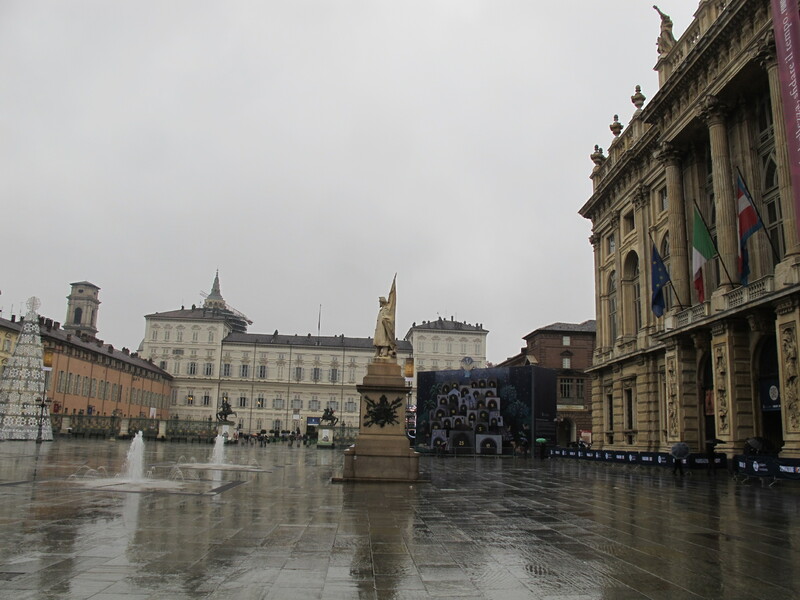 Palazzo Reale in the background, Palazzo Madama to the right – beautiful even in the rain! 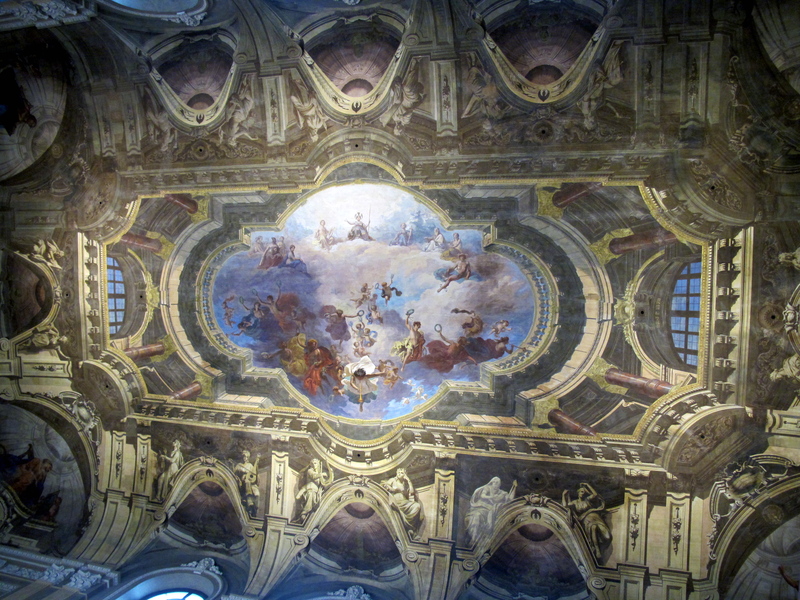 The Royal Palace, along with with 13 other residences of the House of Savoy in and around Turin, including Palazzo Madama and Palazzo Carignano, are on the UNESCO World Heritage List. 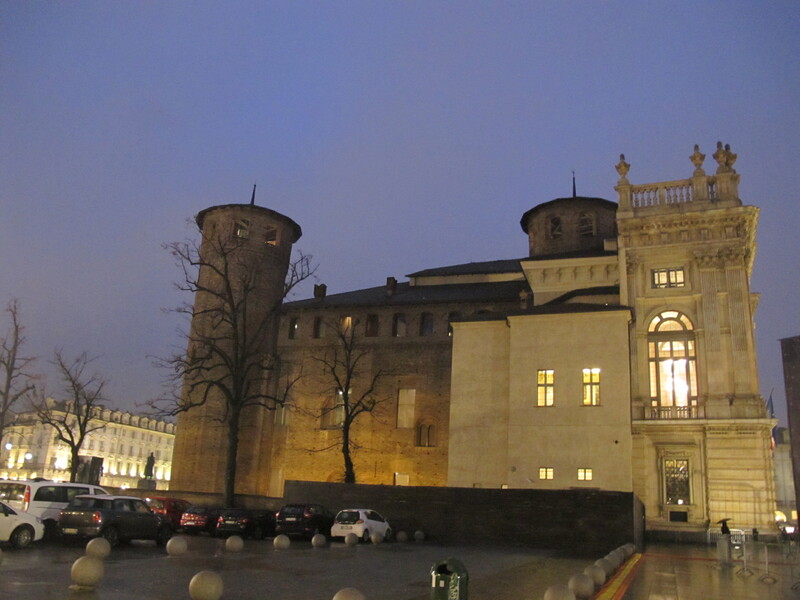 Turin’s royal history truly shows in these architectural gems! 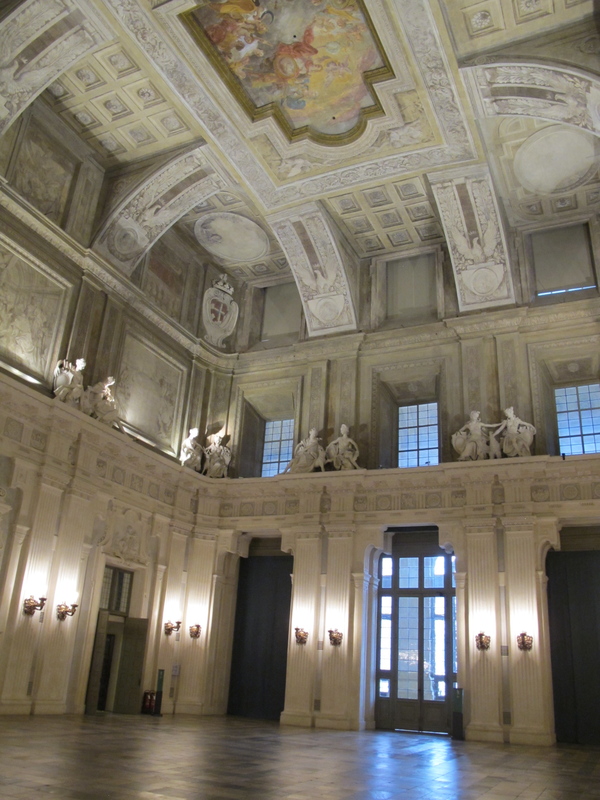 And if you’re in Turin before January 15, don’t miss a rare opportunity to see the vaults of the nearby Royal Library, Biblioteca Reale di Torino located under the porticoes on the ground floor of the Royal Palace. 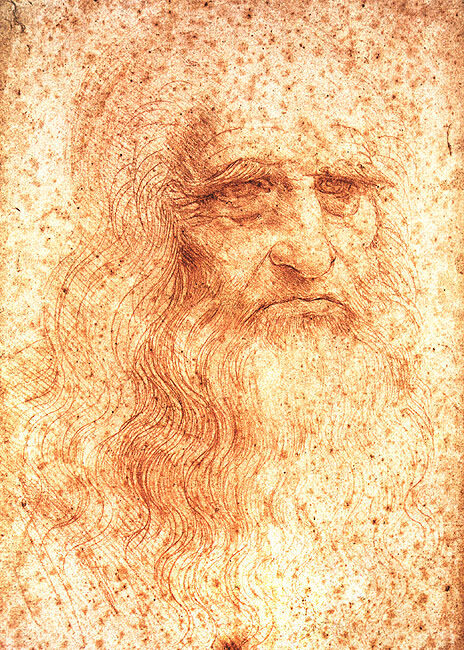 The amazing drawings on display include Leonardo’s famous Self-portrait, the Portrait of a Girl, the Codex on the Flight of Birds, and drawings by other masters: Raffaello, Carracci, Perugino, Van Dyck and Rembrandt. Also on display are beautiful and elaborate manuscripts and antique world maps. 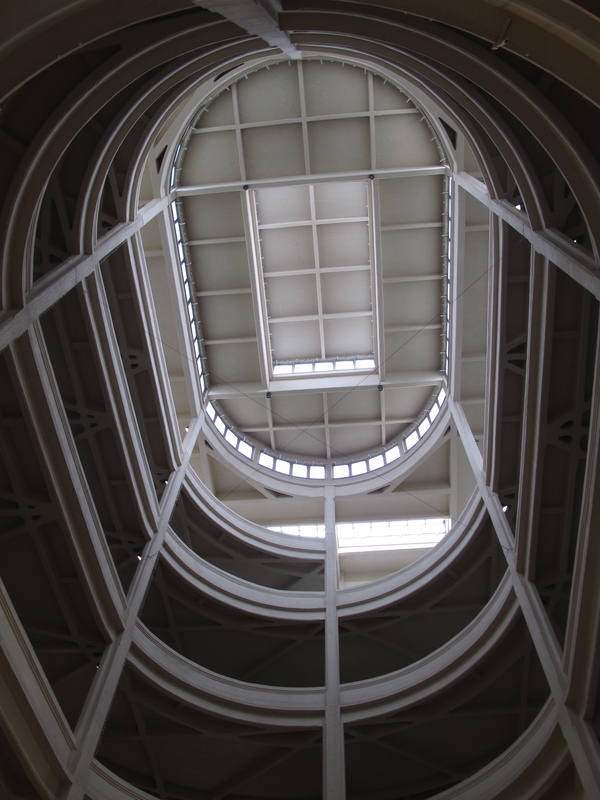 If after a substantial dose of history and art you’re looking for a change of scenery – and insights into Turin’s more recent past – take the metro to Lingotto station. 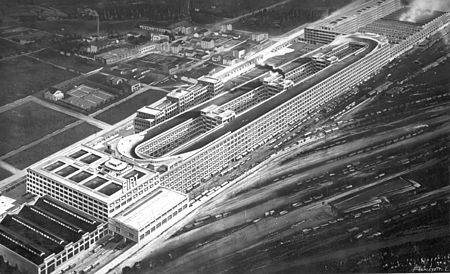 It is the site of what once was the largest automobile factory in the world built in 1923 by Fiat. 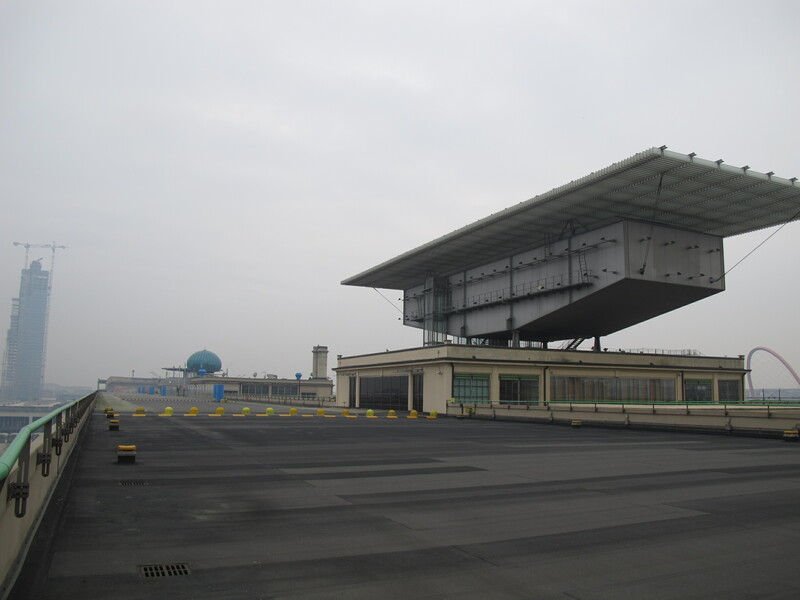 Consisting of five floors, the factory had a unique design where raw materials were coming in at the ground floor and cars went up the spiral driveway as they were being assembled until they emerged at the rooftop test track. Today the factory building is a giant mixed use space inclusive of a shopping mall, a hotel and a small but fascinating museum Pinacoteca Giovanni e Marella Agnelli that houses the painting collection of Fiat’s founder, Giovanni Agnelli. From the Pinacoteca you can also access the preserved rooftop track. It was immortalized in a famous chase scene of the mother of all heist movies, 1969 The Italian Job with Michael Caine (see clip #7 – or all of them for great car chase scenes around Turin). 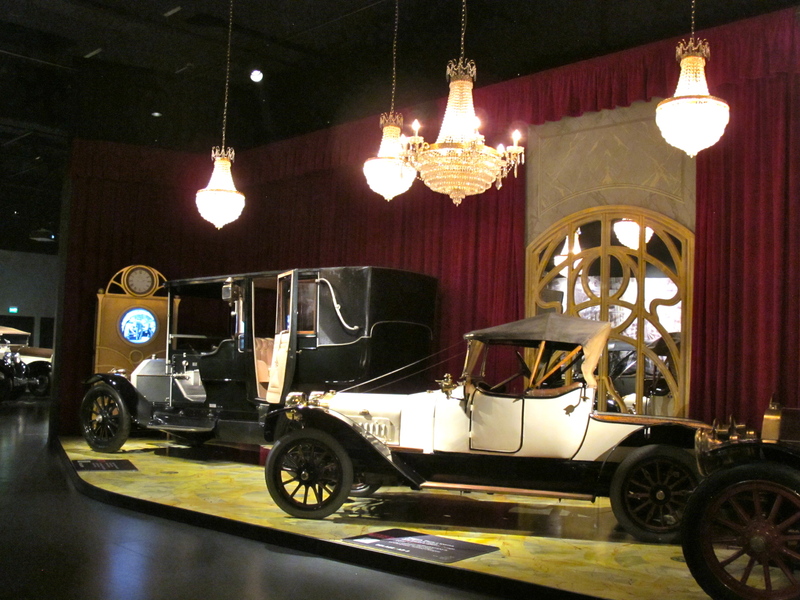 Also don’t miss the nearby Automobile Museum that traces the history of cars and boasts an impressive displays of vehicles from different time periods. 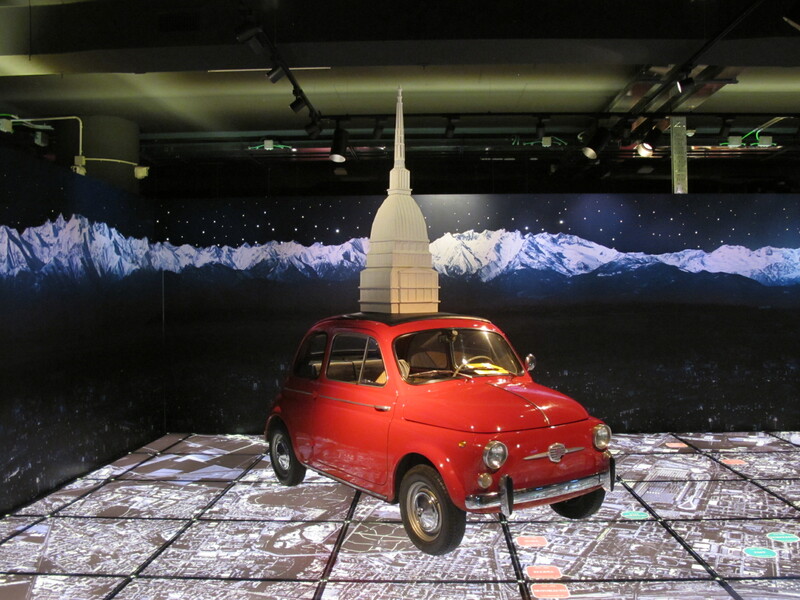 I love this little fiat with the iconic Mole Antonelliana tower! 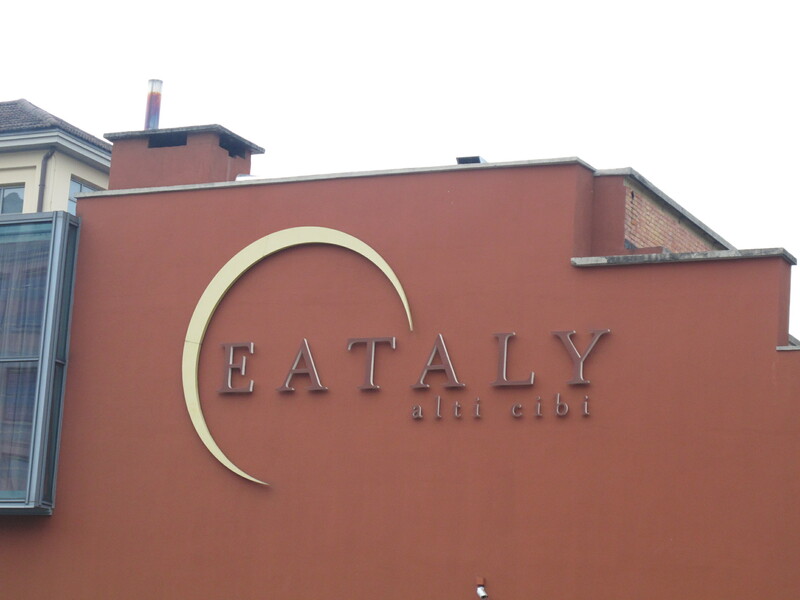 When in Lingotto, definitely don’t miss the original Eataly restaurant & high-end food market. 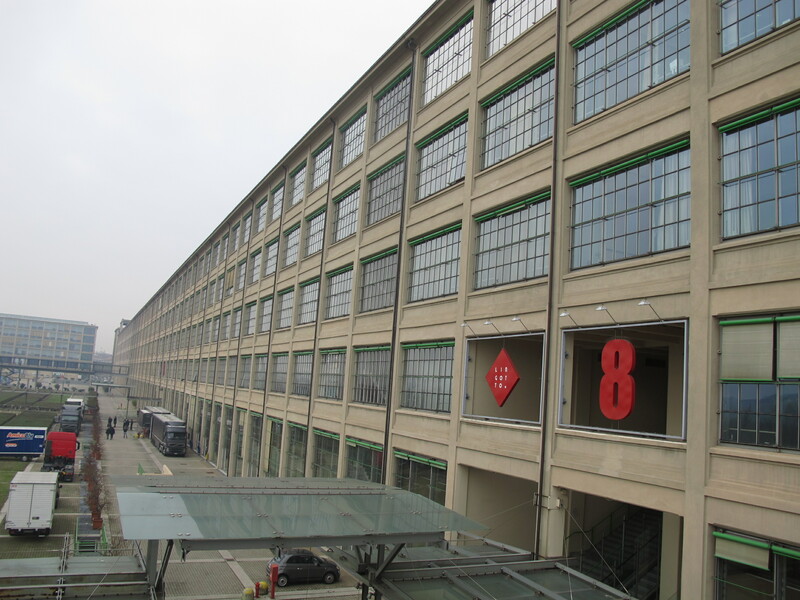 Now a network with several international locations including New York and Chicago (and soon coming to Washington DC), Mario Batali’s Eataly first opened at this Lingotto location – a former factory – in 2007. 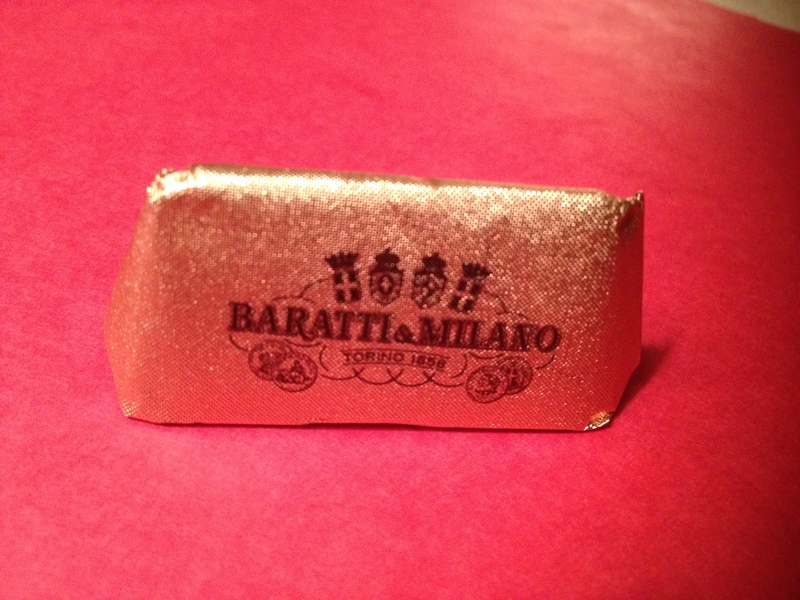 I had the good fortune of visiting Turin in the fall, which is the peak of the truffle season. These curious fragrant fungi that come in several variations are not cheap (there is a reason why). 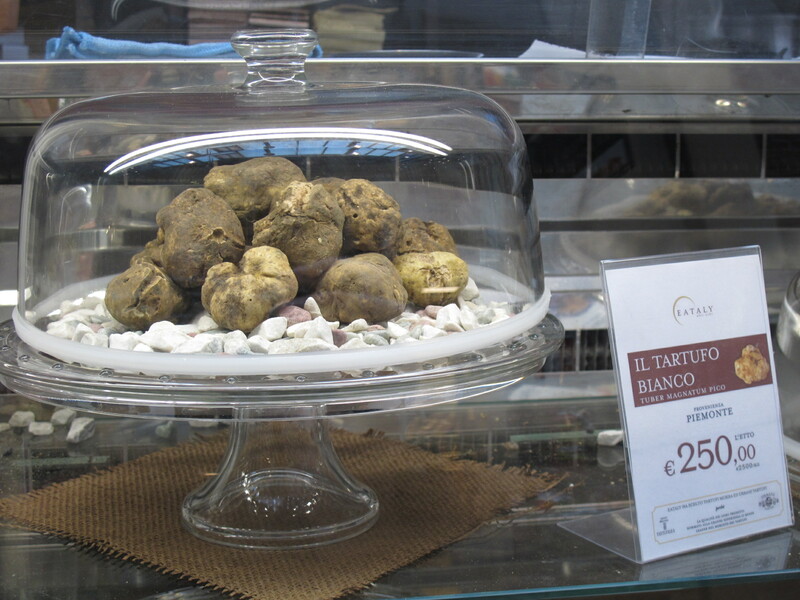 The most expensive one, white truffle or tartufo bianco, will add EUR20+ to your restaurant bill just for a few thin shavings. But gosh, are they divine! 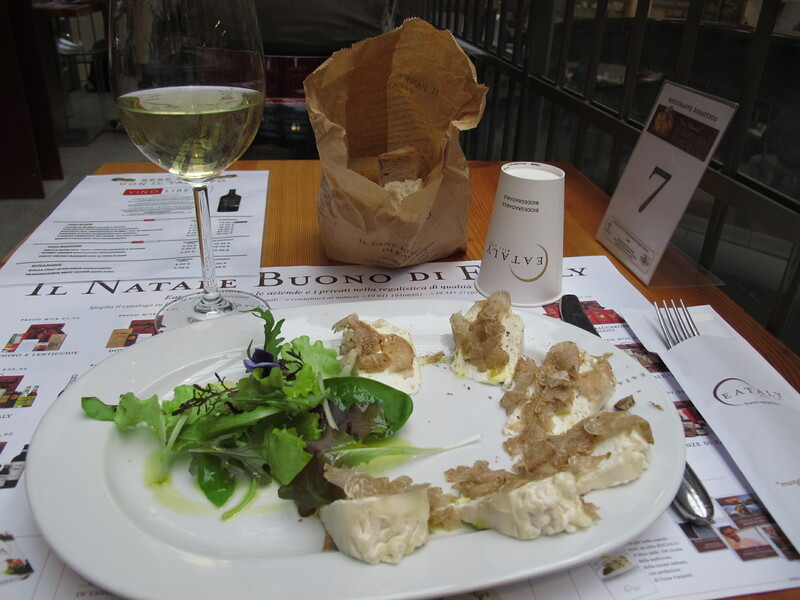 At Eataly I indulged and had white truffle over delicious robiola di roccaverano cheese. Local Piedmontese wine Roero Arenis completed the heavenly culinary experience. Another local treat not to be missed is chocolate. Turin brought chocolate to Italy in 1678 when the first chocolate house opened there and today the region produces 40% of the Italian chocolate, which translates into impressive 85,000 tons a year. Sweet! 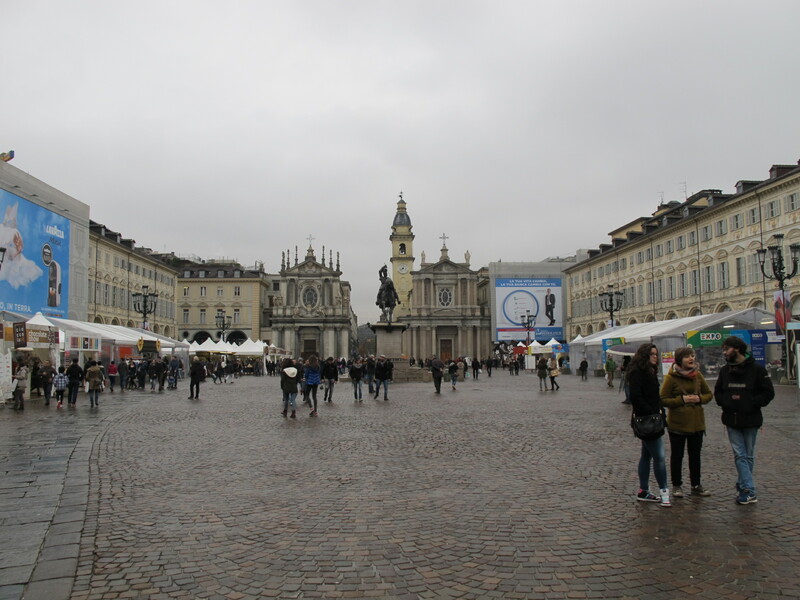 When I was there, an awesome chocolate festival, Cioccolato, was taking place at the beautiful Piazza San Carlo. Chocolate in every form, type, and flavor was all around and I didn’t even try to resist. 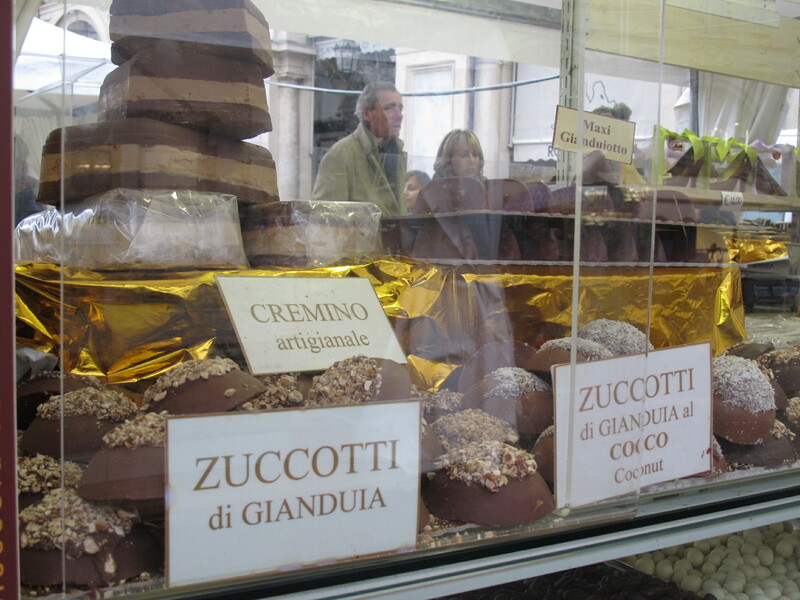 My top indulgence, aside from chocolate truffles, was Torino’s signature hazelnut chocolate, or gianduiotto – melts-in-your-mouth delicious! Enjoy everything that Turin has to offer! One final practical tip: make sure to buy Torino+Piemonte Card for free entrance to most museums and discounts on other attractions around the city. There is a kiosk that sells them right in front of the Porta Nuova train station. 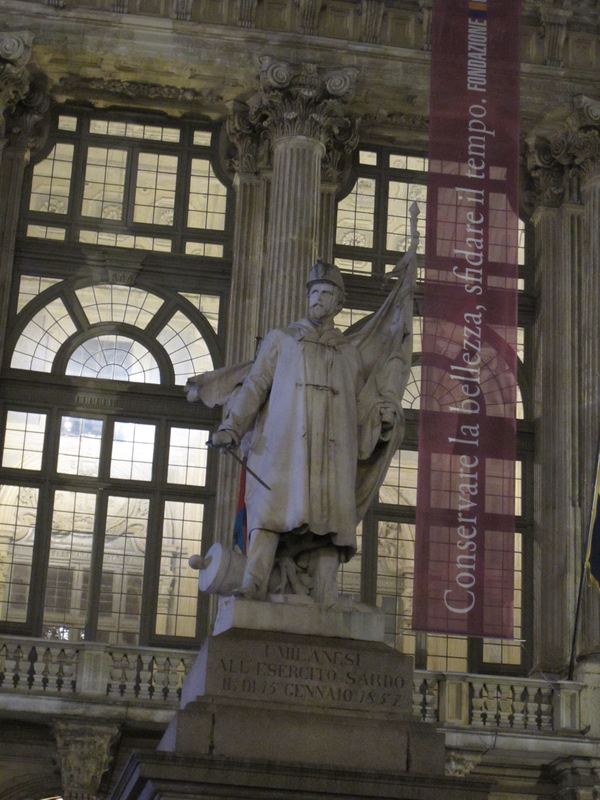 And don’t pay for a taxi to get you there – use reasonably priced Sadem buses for transfers from Turin and Milan airports to the city center. Hi Anna, Very good coverage of Turin. I’m looking forward to visiting in the spring next year. Thanks for the pingback as well. Many thanks – and your site is great! I was aware of the Shroud of Turin but never realized this was like the Detroit of Italy and the home of Fiat. Fascinating article and amazing images. Definitely a place to add to my bucket list. 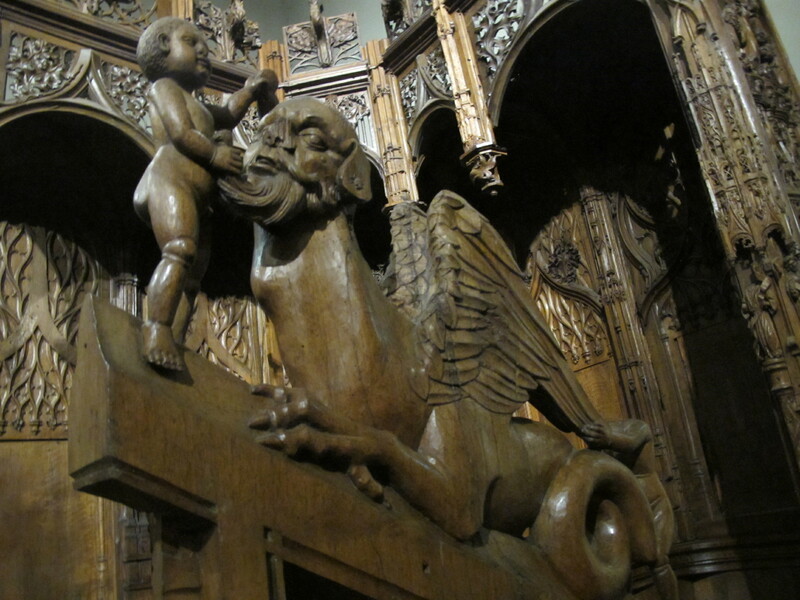 Thanks, I’m glad to hear that – enjoy Turin when you visit!